Head Transplant: Can We Create Frankenstein? 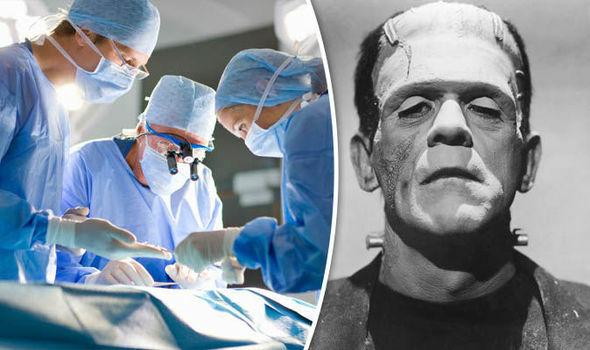 Science Head Transplant: Can We Create Frankenstein? The advent of futuristic technology and its fusion with biomedical sciences has granted us the ability to save people and extend lives through the transplant of vital organs. But never before has it been attempted or even thought possible to replace the entire body with a new one. That is until Italian neurosurgeon Sergio Canavero’s announced the first ever attempt at a human head transplant. The procedure--which Canavaro will attempt to perform--will involve the attachment of the head of a terminally ill, wheelchair-bound Russian citizen Valery Spiridonov, 31, to a completely different body. The Russian computer scientist who volunteered for this groundbreaking operation has Werdnig-Hoffman disease, a rare and incurable case of spinal muscular atrophy. During an interview, Spiridonov stated that he sees the procedure as a once-in-a-lifetime opportunity to have a functioning body. Canavaro has faced a lot of criticism for planning to perform what might be an unethical and extremely dangerous procedure. Even at the current state of technological advancement, there are still so many factors that can compromise the highly difficult procedure, especially since a bit has never been tried with human subjects. One of the main points of concern is the joining of the two spinal cords. A total of $18 million is being raised to fund the operation, dubbed by Canavero as "HEAVEN," short for Head Anastomosis Venture. He has estimated the operation to last for two days and has provided a number of details regarding the procedure. One of the steps involved is cooling the patient's head to -15 Celsius prior to the operation. After the heads of the patient and donor have been detached, the patient's head would be carefully reattached to the donor's body. They will operate on the spinal cords followed by the muscle and blood supply. Spiridonov would remain in a medically induced coma for a month to facilitate the healing of the operation site. While medical professionals are mostly disbelieving of Canavero’s plans for the head transplant, the Italian neurosurgeon remains positive that there's a lot of potential for this procedure should they succeed at it, and the potential use of it will greatly improve our ability to save lives and even extend it.